This is for Marcus whose starter has been in the fridge for a month, looks a bit sad and he thinks it’s dead. Of course it’s not. 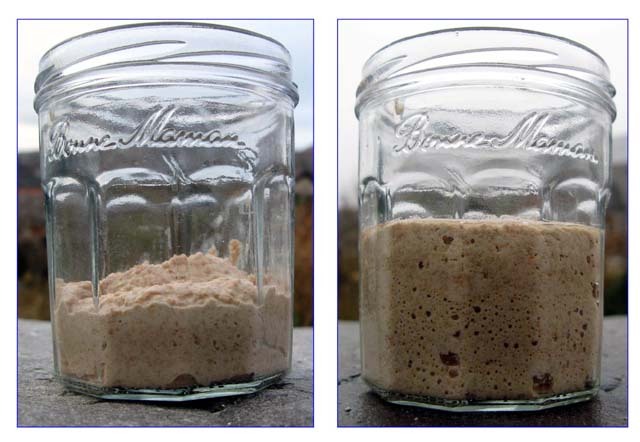 Jar on the left, end of day one; jar on the right, day two. I scraped off the gunge and revived it, the proof of which is the loaf currently cooling on the worktop as I type this! From what smelled like gone-off cheese to a bubbling pot of bread-raising goodness, in just a couple of days. You see, Marcus. Always trust your uncle. That’s amazing, I would have definitely thrown that away. 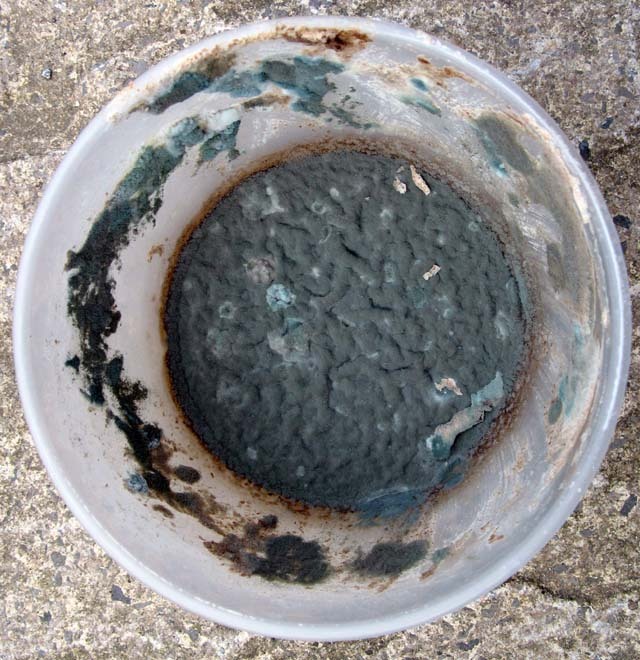 I’m not put off by a sad looking starter retrieved from the back of the fridge, but I think that mould would have been the end for me! Now I know not to worry about it! It had probably been there for a good six months. Like I say, I didn’t actually want to revive the thing but I get so pissed off with the scaremongering around the reliability of starters I thought it was worth a try.